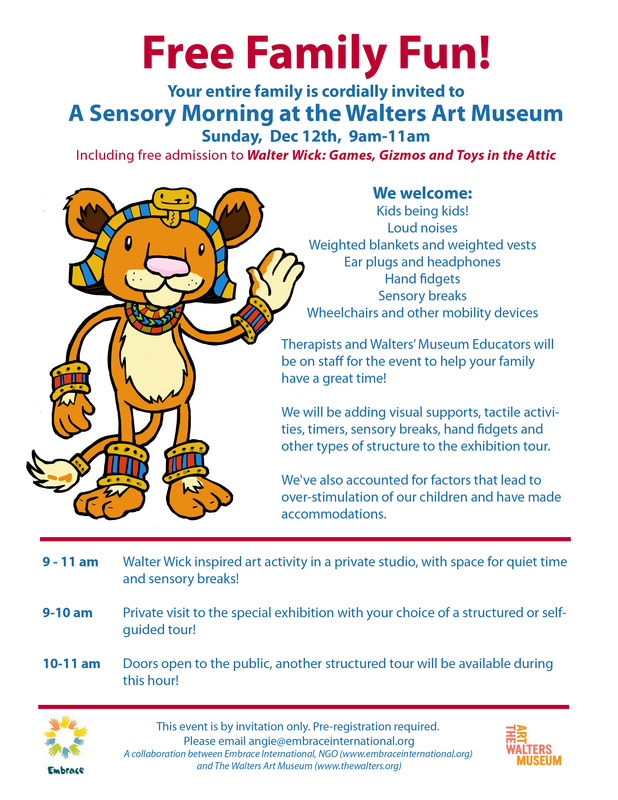 The Walters Art Museum in Baltimore, Maryland is having a family fun morning with a special exhibit featuring Walter Wick, the creator of the I Spy children's books. You can register for this event, happening on December 12th, by clicking here: Download Registration form. This event is sure to be a fun-filled morning as well as a great learning experience!